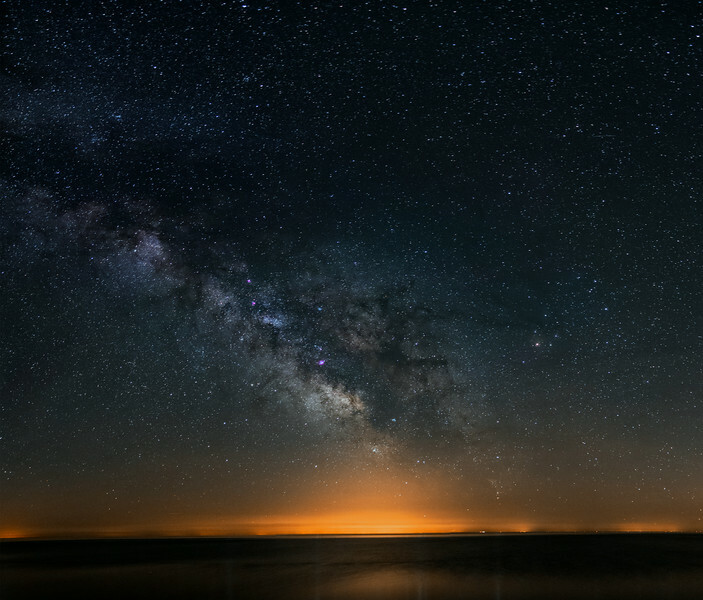 Milky Way over Lake Ontario...3 panel panorama. Canon 6d at ISO 3200, Tamaron 28-75mm lens @ f2.8, 25 seconds each frame. Taken by Lynn Hilborn, Grafton, Ontario on June 22, 2014. Looking south to Rochester NY.